You know what’s better than getting Dad a new set of grill tools on Father’s Day? A homemade gift — especially one from the kids. 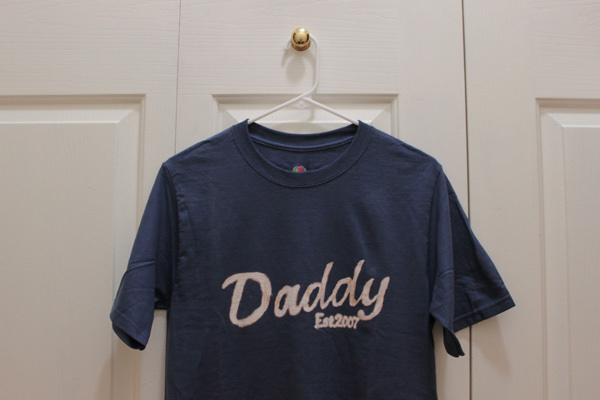 With so many DIY gift options out there, the one that truly stood out to us was an easy, customizable Father’s Day DIY T-shirt Dad or Grandpa would be more than proud to show off, be it around the house, on a morning or evening walk or even at a sporting event. 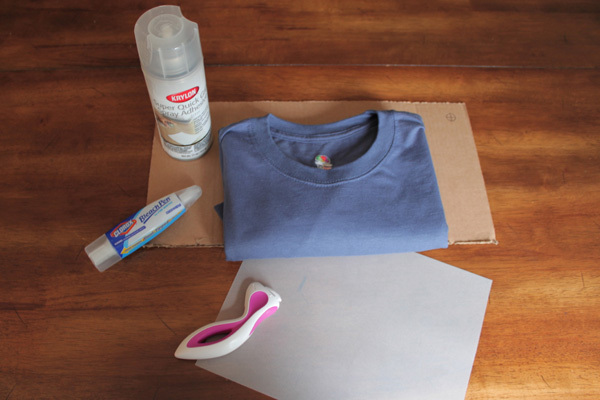 All you need for this inexpensive DIY gift is an unprinted T-shirt, a bleach pen and a touch of creativity — that’s it! Sound doable? Let’s get to it. Now that you have the supplies, let’s get started. Step 1: Choose a design template and print the template onto vellum paper. Step 2: Place the printed design on cardboard and carefully cut out lettering with the craft knife. 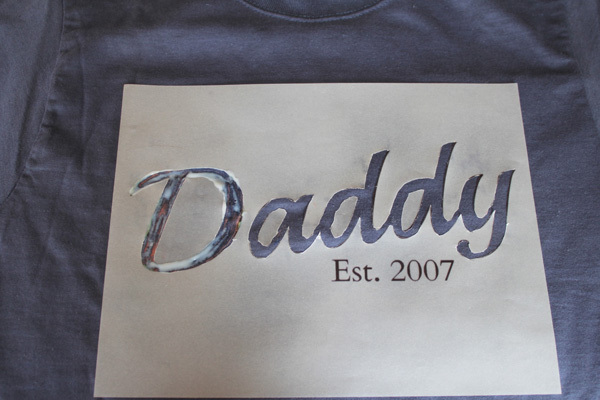 Make sure to save the inside of each letter, as they will be needed to complete the stencil for your design. 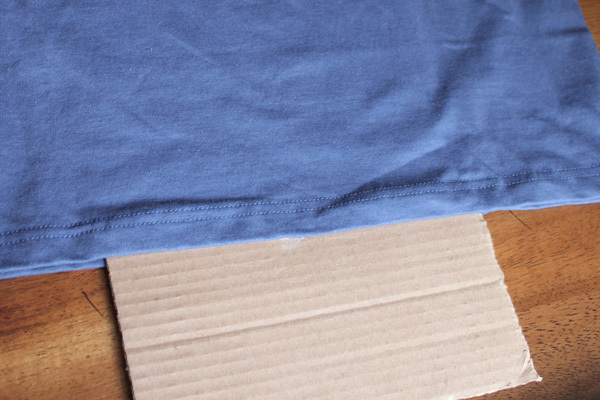 Step 3: Insert the cardboard between the front and back of the T-shirt, placing it directly underneath where you will be placing the stencil. Step 4: Cover the back of vellum sheet stencil with spray adhesive. Spray the back of the inside of each letter that you have saved as well. Spray generously, making sure to cover the edges of your design thoroughly to prevent the bleach from bleeding through. 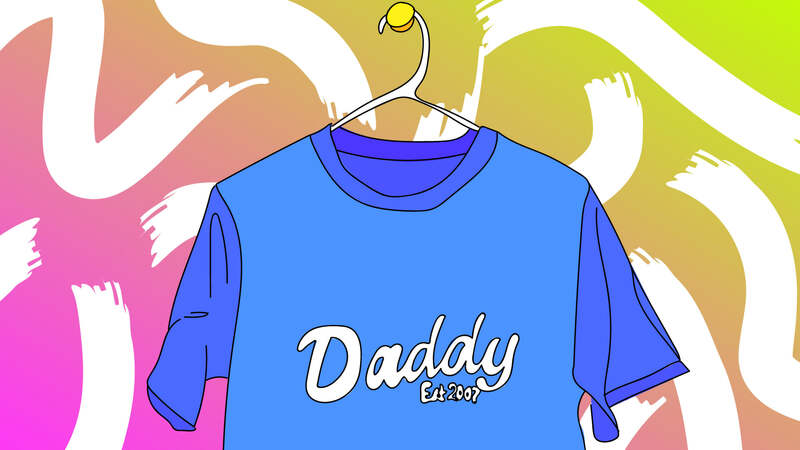 A version of this article was originally published in May 2012.